Five hours northeast of Johannesburg, South Africa, Pfunanane Ministries helps create new lives and brighter futures for the impoverished communities which surround the small village of Modjadjiskloof. In 1997, a local woman named Engela DeVilliers began Pfunanane Ministries with a heart and passion to establish a place where underprivileged children would be provided with quality Christian education, and where the orphaned and vulnerable would find a loving home. Beginning with only 5 children, Engela established Pfunanane on her own property, using a portion of her farm as the starting place for the school and a potential site for Children’s Homes. As the ministry took root, Pfunanane began to steadily grow, adding a new grade each year. During this time, Engela sought out both paying children and simultaneously looked for children in need to sponsor. In 2007, just as the ministry was beginning bear fruit, Engela tragically died, leaving the community in mourning for the woman who impacted so many lives. To complicate the matter, the property was sold and the future of the ministry was thrown into chaos. Able to stay on the farm as renters, there was a constant worry that the new owner would sell the property out from under us and the ministry would be forced to close its doors. But this period of difficulty also brought with it new hope. Our first American missionary, Sarah Terwey, joined Pfunanane with a vision to continue Engela’s work and began the first Children’s Home. 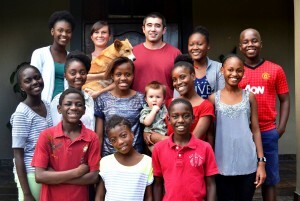 Starting with only one child, Sarah began taking in children from all walks of life. Some orphaned, some ill, some needing a safer environment. Her two bedroom cottage began to fill with children hoping for a better future. In 2010, the farm was once again put on the market and the Board of Directors, with no real funds and only the trust that the Lord would provide, decided to purchase the property. Although the ministry didn’t have any funds to put towards this purchase, we sought God and sensed that He was telling us to move forward. That same week, Sarah received a random email from a supporter stating that God had placed on his heart a desire to help them buy a place to live – a supporter who had no idea about the earlier decision to buy the farm. That email turned into a partnership that would be the start of an outpouring of support and donations which followed over the next year. With the process of the property purchase underway, the Children’s Home was able to move into a much larger home on the property, leaving space for more missionaries to come. 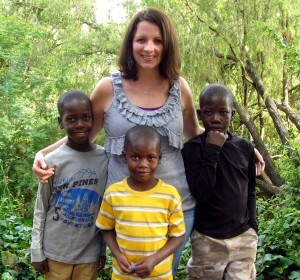 Soon after this, a group of children were identified and Erin MacLean, another missionary living on the property, became our second house mother to three brothers in need. In 2012, after a lengthy sales process, the Pfunanane property was finally purchased – in full with no debt! Thanks be to God for moving the hearts of so many people to help us with what seemed like an insurmountable task! With the future of Pfunanane finally secured, and the ability to build on the property, our small ministry has grown to what it is today. Currently, Pfunanane has over 350 students, 10 full time missionaries, is home to 19 children and has a staff of over 30 with plans to expand housing, classrooms and ministries. With God’s blessing, we have become a known name in the community as a place where students thrive, economic barriers are torn down and children from all walks of life are shown the tremendous hope of the Gospel of Jesus.